Over the past five years interest in "Marketing Clouds" — platforms that nominally support a broad range of marketing use cases — has shot up tremendously. Amid a crowded MarTech space with thousands of niche vendors, these platforms strive to become anchors for the rest of your MarTech stack. Yet it turns out they're quite different from each other. 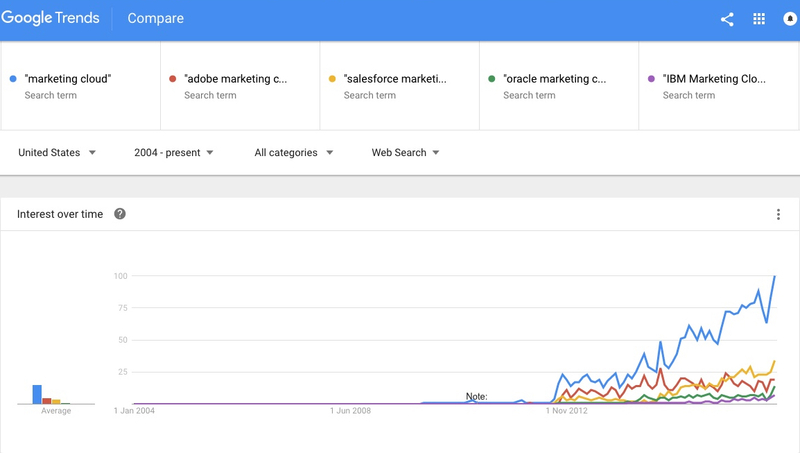 In terms of market share / mindshare, the four leading marketing platform vendors are Adobe, IBM, Oracle, and Salesforce. 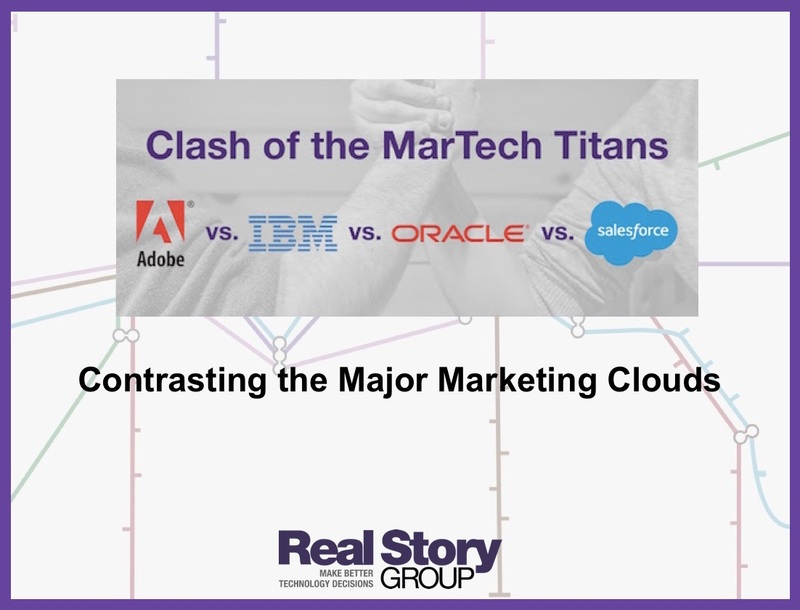 This brief is an excellent way for marketing / technology executives to quickly gain a comparative understanding of the leading marketing clouds. The briefing is available for immediate download to our Campaign and Lead Management Technology research subscribers. If you are not yet a subscriber, check out a complementary sample evaluation and get in touch with us.